Em’boka is a favorite restaurant of ours in Kyoto, we try to go there for casual cuisine when passing through Kansai. The owner is an architect and he has a few branches he operates. A passionate Pizzaiolo who has a flair for good taste and a keen eye. The dough isn’t typical of Neapolitan pizza dough, it is less chewy and a little crunchy. 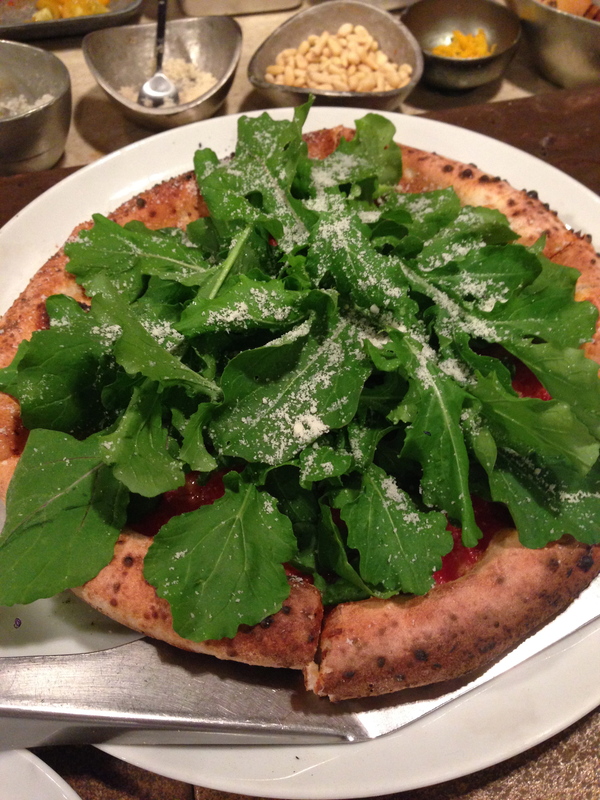 His pizza photographs well and for those who love arugula, it is the pizza to order.